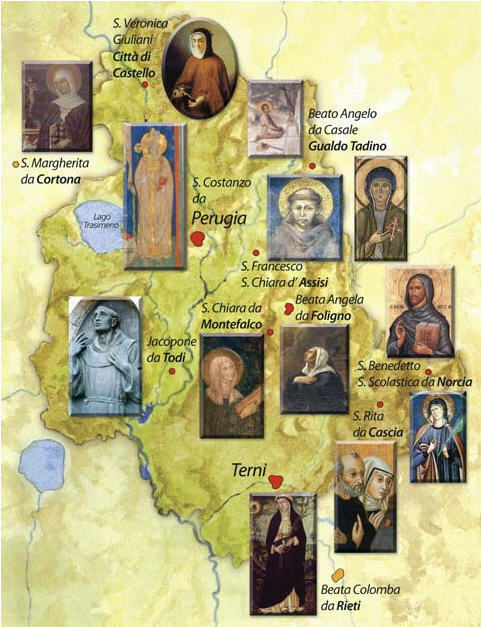 The earliest, S. Benedetto was born in Norcia in 480. He founded western monasticism with the Benedict Order, after living for years in solitude in a cave. He is the patron saint of Europe; his twin sister, S. Scolastica dedicated her life to God as a child and is the patron saint of nuns. 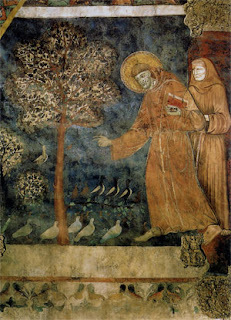 We find another pair in Assisi, the most venerated religious figure in history, the patron saint of Italy, S. Francesco, who with his beloved friend, S. Chiara, founded the Orders of Franciscans and Poor Clares in 1210. 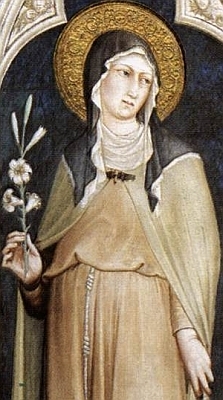 S. Chiara lived a cloistered life with forty sisters in the Convent of San Damiano, that S. Francis built for her order, for 35 years below the city of Assisi. A visitor marvels at the perfectly preserved quarters of sisters who slept on meager straw pallets together in one room. The place where she died so many hundreds of years ago is in the corner with a cross and bouquet of flowers. 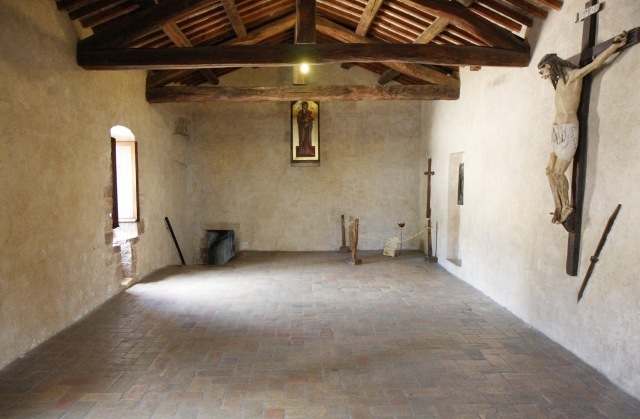 What would it have been like not to leave San Damiano for so many years and have only a small garden to tend? 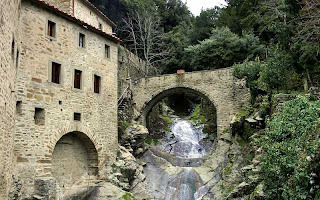 Also spiritually evocative is the little known, but powerful holy place, the Celle di Cortona where St. Francis lived for months in solitude sleeping on a wooden bench listening to the cascading waterfall below his small window. San Damiano in Assisi is a magic place. On weekdays at 7 am the friars pray their praises accompanied by singing and piped music,it is beautiful to attend even if you do not belong to the Catholic Church. It is possible to respond to the praises, books are available for the public. I am very fond of San Damiano. I really miss driving there often. 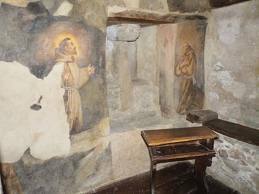 The Chapel of San Damiano is truly a magical place and it really evokes the presence of gentle S. Franceso and Chiara. The music of the little organ is so beautiful and I have attended several praise services there too!